Have a look around the ATF Pro Shop and see what we have in store for you! 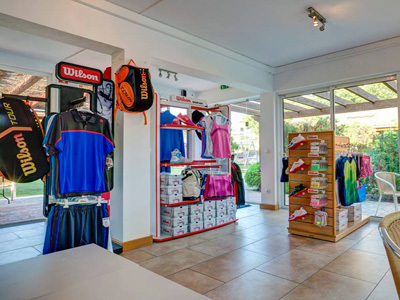 There are some fantastic sports equipment deals waiting for you at the Algarve Tennis and Fitness Pro Shop. Use the "Shop menu" to navigate your way around or "Search the shop" with the keyword search tool and browse the fantastic sports items we have in store for you and your family! 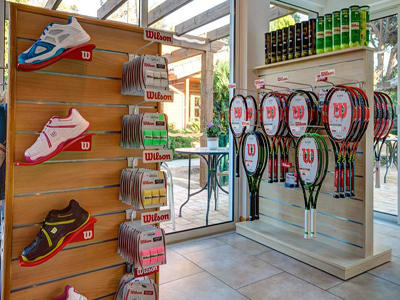 Whether you are looking for a new racquet for your 5 year old, a new pair of shoes for your teen-ager, a new tennis out-fit for your partner or a set of new strings for your old racquet - we have it! Three times a year we feature new collections with the up-to-date fashion and technology. Come shop with us! 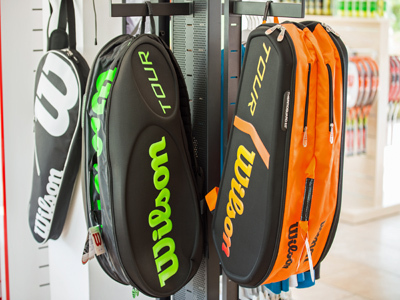 When did you last get a new bag for your clothes, shoes and racquets? The fashionable new BLADE and BURN bags from Wilson.